James Bond's Gay Old Christmas! Hah. 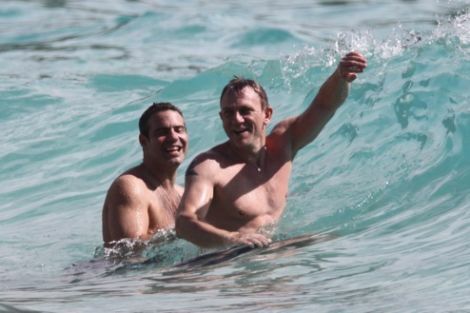 INF snapped photos of actor Daniel Craig frolicking with gay Bravo TV exec (and reunion-special-hoster) Andy Cohen in St. Bart's over the holiday. It looks like fun! Pictures after the jump. Craig's girlfriend was there and all, but still. It looks like fun!